Grandeur Peak (4% ABV) speaks to the active lifestyle consumer seeking a craft alternative to beer, wine and spirits that showcases natural flavors at an impressive 80 calories. 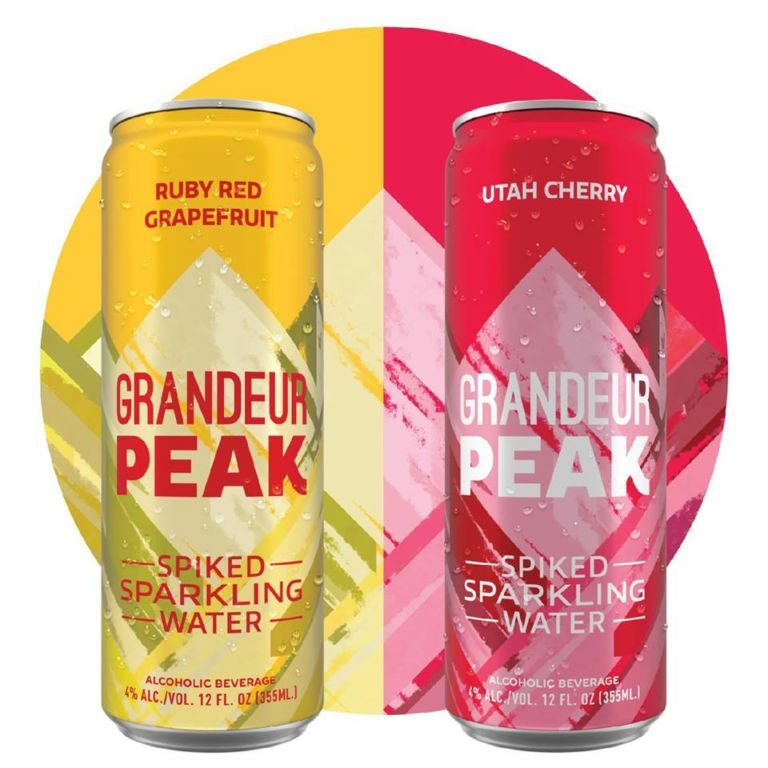 With clean and refreshing flavors – Ruby Red Grapefruit and Utah Cherry as an initial offering – Grandeur Peak also boasts zero gluten, zero calories from sugar and only one gram of carbs. Both flavors will be featured in grocery stores in a mixed 12-pack. Additionally, Grandeur Peak will be offered in sleek 12-ounce cans, and on draft at bars. “As a huge fan of flavored sparkling water, I have been eagerly awaiting this release. I’m looking forward to drinking these straight, and experimenting with different cocktail combinations this summer,” said Squatters and Wasatch Co-Chief Operating Officer, Adam Curfew. Alongside Grandeur Peak, Squatters Craft Beers is also debuting a New England Style IPA clocking in at 4% ABV – Squatters Juicy IPA. Available as both a packaged and draft product, Juicy presents the trademark haziness of a traditional NEIPA, with a bold flavor profile that is smooth and easy drinking. Jeff Polychronis and Peter Cole founded Squatters Pub Brewery, Salt Lake City’s original brew pub in 1989. In 2000, Squatters Craft Beers and Wasatch Brewery merged their brewing operations for draft, bottle and can production. The company currently operates five full-service pubs and a brewery tap room. To date, Squatters and Wasatch have brought home 18 World Beer Cups awards and 30 Great American Beer Festival medals. In 2010, Utah Brewers Cooperative received the prestigious U.S. Mid-Size Brewery of the Year award from the Brewers Association. In 2017, Squatters and Wasatch joined a group of independent and like-minded craft brewers, known collectively as CANarchy. Sister breweries include Oskar Blues Brewery, Cigar City Brewing, Perrin Brewing, Deep Ellum Brewing and Three Weavers Brewing Company. Squatters and Wasatch packaged and draft beers are available in Utah, Idaho, Nevada, Arizona, New Mexico, Colorado, Wyoming, Texas, Louisiana, Minnesota, Iowa, Wisconsin, South Dakota, North Dakota, Nebraska, Arkansas, Oklahoma, Missouri and Montana. For more information, please visit www.squatters.com and www.wasatchbeers.com, and follow @squattersbeers and @wasatchbeers on social media.